The Wisconsin Department of Natural Resources is seeking comment on a draft version of its statewide aquatic invasive species management plan. This is the first revision of the plan since it was initially drafted in 2003. The comment period is open now through August 31, 2018. 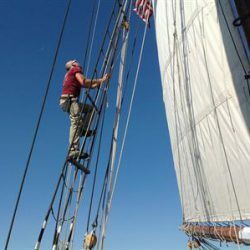 Sixteen educators from Wisconsin and Minnesota will board the tall ship Denis Sullivan to immerse themselves in Lake Michigan science next week, and will learn more about the communities along it as well as new technologies they can use in their classrooms. Free public tours of the ship are offered. Two Wisconsin teachers will join a dozen others from around the Great Lakes on a week-long research cruise on Lake Ontario with scientists. The R/V Lake Guardian will depart from Buffalo, New York, on July 9, ending in Youngstown, New York, on July 15, with stops in ports along the way to learn about the ecology, history and economy of the lake. Summer is a perfect time for Wisconsin boaters to think about responsible boating practices. Simple actions help prevent the spread of aquatic invasive species. The Clean Boats, Clean Waters program educates boaters about those steps. Our popular Home Preservation of Fish series welcomes a new fact sheet–planking! James Hurley and Andrew Struck will speak to members of Congress on June 28, 2018. The focus will be on how Sea Grant programs in various regions of the country help coastal communities respond to changing conditions. Sea Grant won an international communications award for a strong community relations project on green infrastructure. 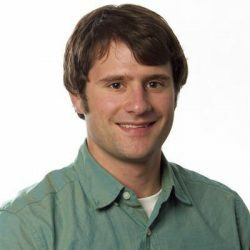 Sea Grant-funded research spearheaded by Chris Hartleb holds promise for Wisconsin fish farmers to be able to raise walleye and saugeye in indoor aquaculture systems. Hartleb is a professor at the University of Wisconsin-Stevens Point and also directs the Northern Aquaculture Demonstration Facility in Bayfield, Wis.